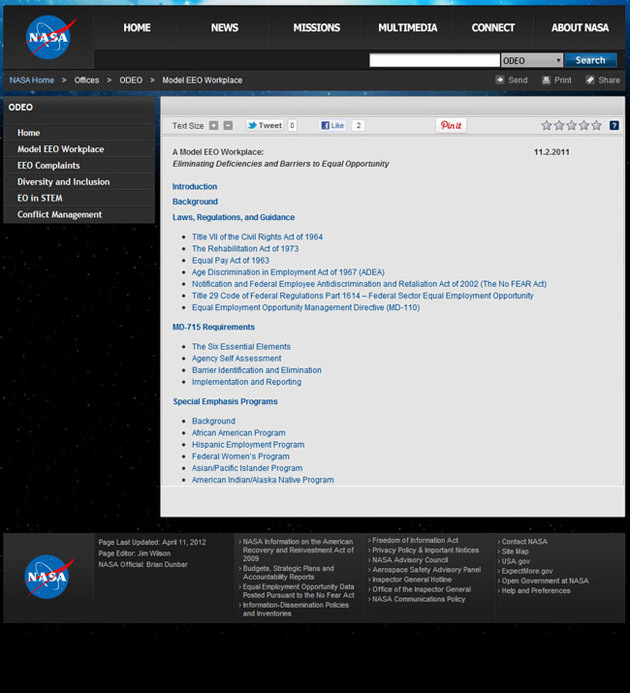 NASA - EEO - MetaMedia Training International, Inc. 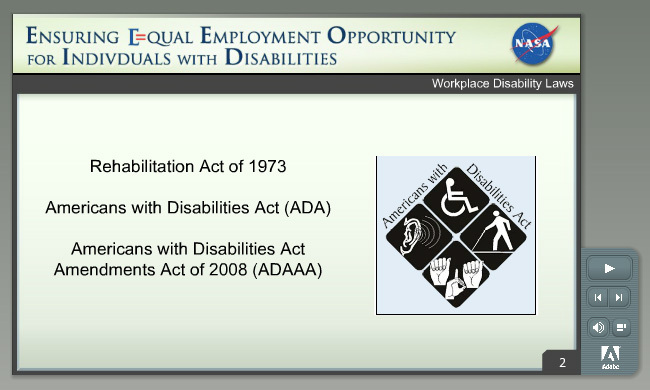 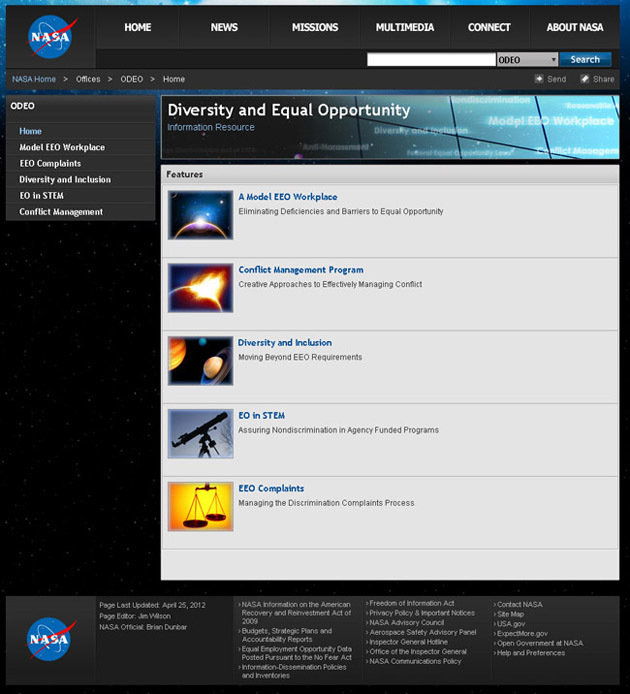 Description: The NASA equal opportunity and diversity-inclusion project offered NASA employees and managers detailed documentation, concepts, behaviors and procedures on various aspects of EO policies, programs and initiatives. 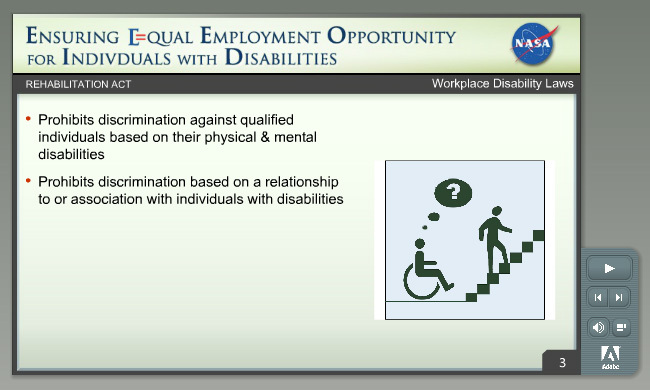 It included a broad perspective on topics such as EEO complaints, reasonable accommodations, anti-harassment and conflict management.